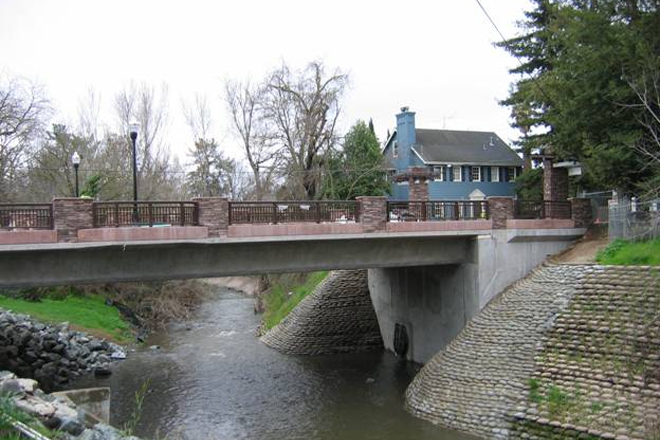 The Willow Glen Bridge entailed street-level design elements in response to community concern over the appearance of the new bridge. 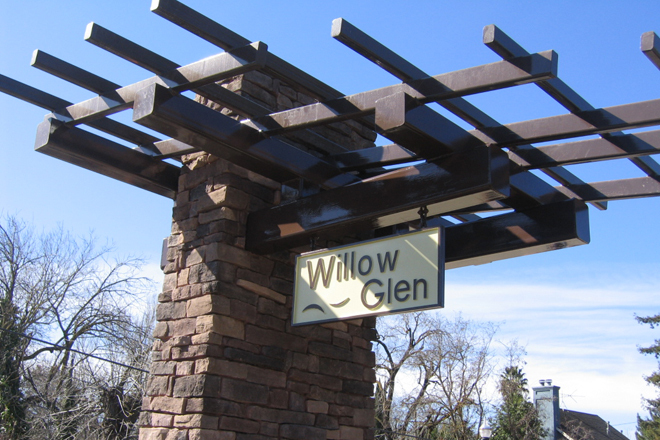 Several community stakeholder meetings were held to establish a design program along with options aimed at meeting the program goals within the project budget. The chosen design solution included stone pylons with steel trellis-work to visually anchor the bridge at each embankment. 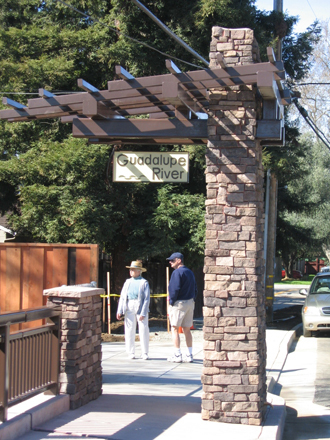 Signage was placed over pedestrian walks to identify the city district and Guadalupe River below, and a mid-span belvedere overlook with light standard was placed to encourage river viewing.